Tickets to Chorleywood Orchestra forthcoming events and concerts will be available online via the website and also through Chorleywood Bookshop. A high energy romp through popular viennese walts, polkas and Songs. The Orchestra were joined by Soprano, Mandy Watsham Dunstall for two songs by Lehar, a complimentary glass of prosecco was kindly donated by Robsons of Chorleywood. Chorleywood music were proud to support Chorleywood Parish Council’s commemoration and remembrance weekend featuring music from the era and composed by some of the war musicians. A very special occasion to mark the 100th anniversary of the end of World War 1. The Memorial Hall was built by significant donations from local people to commemorate the fallen of ‘the Great War’. 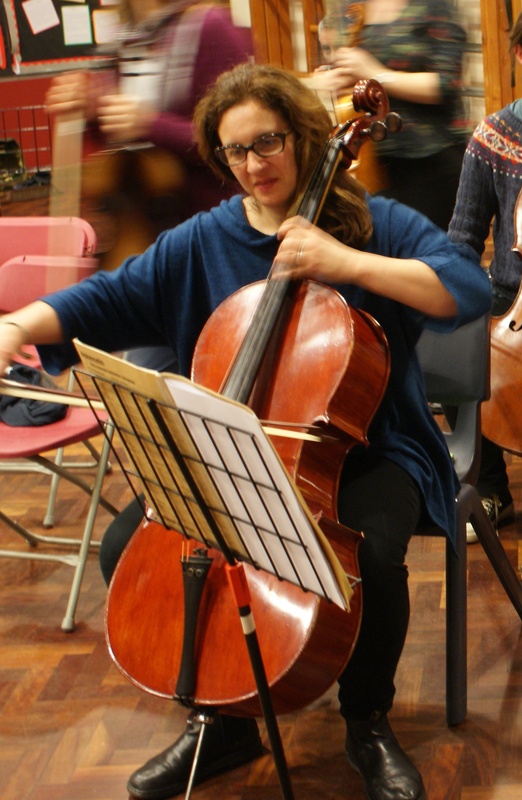 The programme included Elgar’s Cello Concerto with soloist Nicola Tait, Sospiri, Nimrod (both also by Elgar), Butterworth’s ‘The Banks of Green Willow’, John Williams’ ‘Hymn to the Fallen’ and two pieces composed specially for this concert. Generously supported by Chorleywood Parish Council, Chorleywood Music brought instrumental tryouts and a side by side concert to the Russell School, Brushwood Drive, Chorleywood. The Orchestra was doubled for the day with youngsters and returnees enjoying a varied programme of Elgar, Sibelius, Wagner, Mussorsky, Williams and McFarlane. Our tryout a musical session run by Christine Deeley and a team of school age volunteers, demonstrated their instruments to enthusiastic children some as young as three! See you next Year! Last Saturday evening (30th June 2018), Rickmansworth was treated to a exceptional and wonderfully varied competition from eight young finalists. A line up of three pianists, one cellist, one saxophonist, one violinist, a clarinetist and a marimba-ist performed to a very high standard that had the audience entranced from start to finish. Rickmansworth Young Musician of the Year is jointly promoted and run by the Three Rivers Music Society, the Rotary Club of Rickmansworth and Chorleywood Music.